Students from Capital Community College and Trinity College are invited to apply to the Action Lab. They must be available to enroll in two Action Lab courses: LAAL 200 Action Research Methods in Hartford (for all students on Monday afternoons, around 1-4pm) and an LAAL 201 Hartford Research Project (teams of 4-5 students, meets either Tues, Wed, or Thurs afternoon, around 1-4pm, or Wednesday evenings, 6:30-9:10). Both will be taught by Action Lab Director Megan Brown at our downtown campus, and successful students will earn 2 Trinity credits (the equivalent of 6 CCC credits). Contact us if you have questions. What is the role of academic research in social change? How can students and community groups collaborate effectively to co-create, implement, and use research projects to solve social problems? In this course, students will study the theories and methods of interdisciplinary action research. Emphasizing ethical collaboration, students will learn research design strategies, methods, tools, and research tools in order to work with community partners to solve pressing problems. Students will learn to use a variety of statistical, geographic, and interview data to answer questions, make recommendations, and tell stories about the issues that are most relevant to Hartford. Instructor: Prof. Megan Brown. Enrollment limited to 20. Requires permission of instructor. Requires concurrent registration in LAAL 201. Fulfills Numerical and Symbolic Reasoning requirement at Trinity. Cross-referenced under CLIC, EDUC, HRST, PBPL, URST, and may count toward other majors on case-by-case basis. In this project-based class, students and faculty fellows will work in teams with Hartford community partners to research social problems and develop solutions. 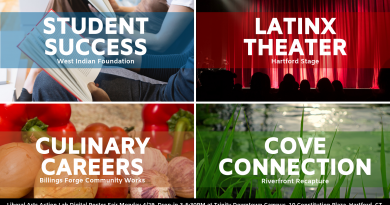 The projects we undertake are defined by Hartford community partners. Sample projects may include: analysis of mortgage lending disparities, focus groups on civic engagement, neighborhood public history projects, and urban development case studies. Students will learn and apply project management techniques, work collaboratively with community groups to develop research questions, select appropriate methods, and communicate results with media appropriate various audiences. Instructor: Prof. Megan Brown. Enrollment limited to 20. Requires permission of instructor. Requires concurrent registration in LAAL 200. Cross-referenced under CLIC, HRST, PBPL, URST, and may count toward other majors on case-by-case basis.